They call themselves ‘Teepeelanders’, as they’ve built teepees and Mongolian yurts to live in. 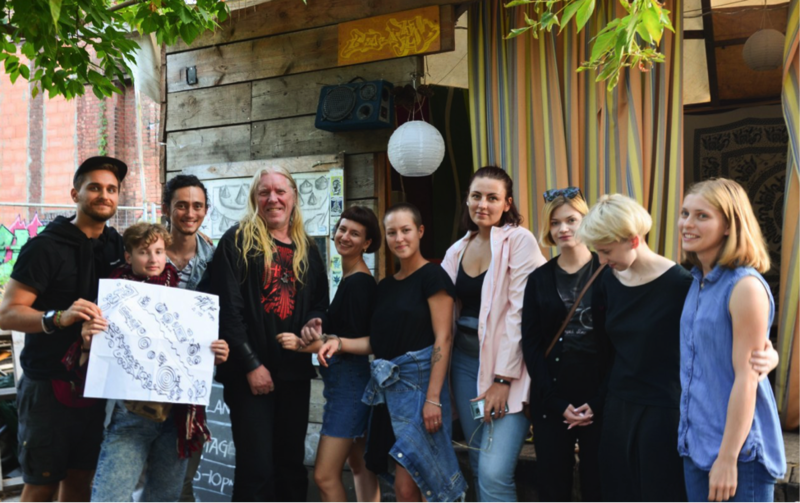 Teepee-land is an international cultural project involved in sustainable urban development, collaboration between artists in Europe and alternative forms of nomadism. 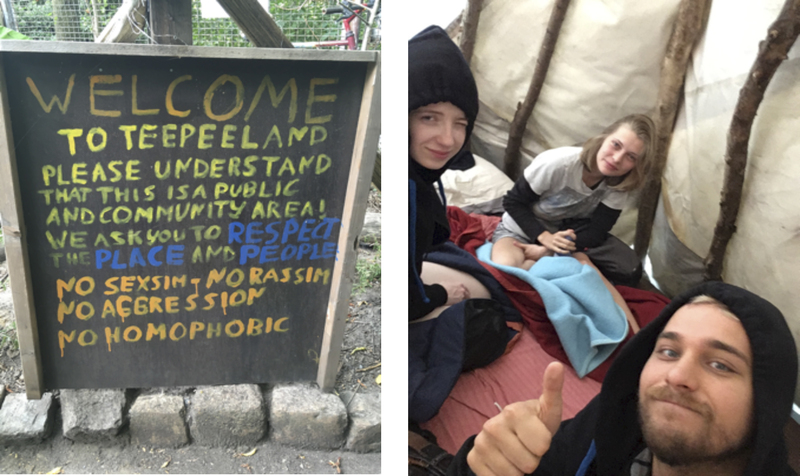 Friendly community without rioting and hard drugs: The 10 permanent inhabitants and visitors of the “Teepee-land” live free – however, there are rules: no violence, aggression and public masturbation. 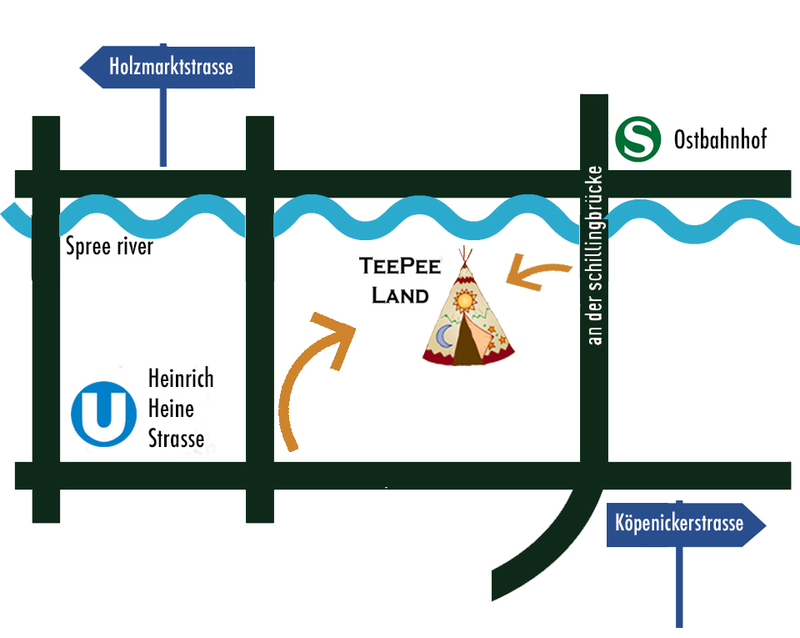 The tent city “Teepee Land” is located just 200 meters from the Köpenicker road. 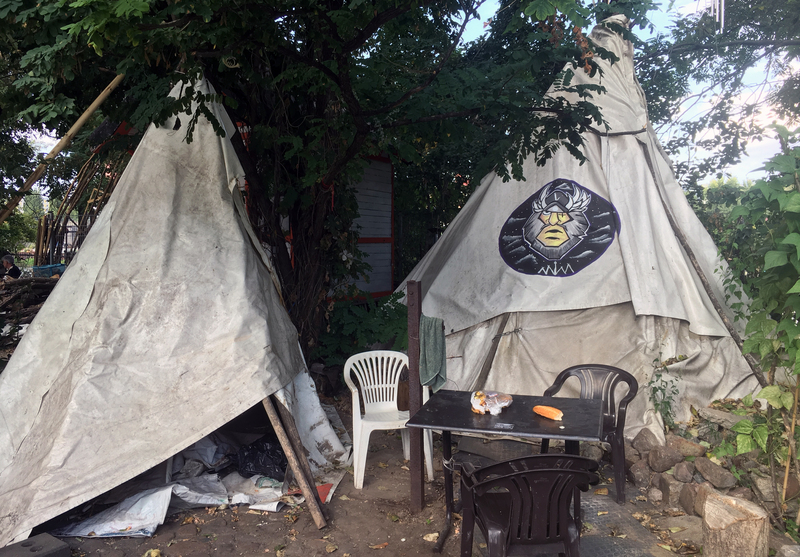 But those who make their way passing hyper-touristic East Side Gallery, just two steps further over a neglected property towards the Spree shore, hidden between trees and bushes you find another TeePee-Land World. They live in self-built huts that look like tepees – the bravest TeePee Landers live there even in winter. Freedom is the most important asset of the community. But they are happy without running water and other comfort facilities. However, there are fixed rules here: “No hard liquor & no hard drugs,” says Flieger, a gray-haired German Viking, who founded the municipality in June 2012. But not everybody is happy with Teepee-land. Their location on the Spree is worth a lot of money – investors and authorities are trying to get their hands on it. How long will last this urban utopia, which the district has tolerated so far, is unclear. Hurry up to visit colorful hippie dream – TeePee World. You can follow the small path and walk along the river Spree from both sides. It gives a unique view of the city. Check the schedule for events, Jam Sessions, Open Air movies and the comedy nights on Sunday evening. There is a bar, but if you bring some beers with you, Flieger would be more than happy to share his stories.